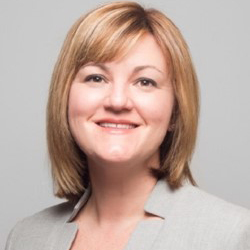 With over 20 years of industry experience, Tricia is responsible for overall client satisfaction and delivery of our configurable benefit solutions to meet the unique needs of each organization. As a national leader, she specializes in designing our market strategy that deploys a holistic approach to health and benefits design and delivery using our deep market insights to develop cutting edge strategies and solutions that benefit both employers and employees. As the Midwest Region Middle Market Leader, Tricia leads a team of over 200 colleagues in the areas of brokerage and advisory services with a focus on financial plan management, regulatory and compliance issues, talent management and benefits delivery. Tricia joined Willis Towers Watson’s Health and Benefits Practice in 2010. As a dynamic speaker, Tricia has been a featured at the Conference Board, Retail Symposium, Argentum Senior Living Conference, WTW Annual Growth Conference, and our Exceptional Producer Council. She has spoken at several conferences on Employee Benefit Captive Programs, the Dynamic Changing Workforce, Private Exchange Strategies and International Benefits and Global Risks. Tricia participates in the North American Sales Council and completed the Global Client Acumen Program. Tricia holds a B.A. degree from Otterbein University.